Holiday price offer: 50% OFF until December 24th. Martina lives in a busy village not too far from a mean old ogre. Despite Martina's physical handicap she is a lively, loving little girl with an indomitable spirit. Her parents have taught her how to go to her "happy place". As a result she has learned to accept the disappointments and dispense the monsters in her life, and even overcome the limitations of her physical handicap. This inner exuberance she shares with the inhabitants of the village and ultimately the mean old ogre. 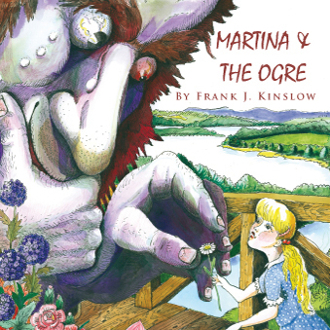 For young readers, Martina and the Ogre is an exciting, inspiring story on many levels. Young readers will learn how she surmounts overwhelming hardships by drawing inner strength from her "happy place". Please note the files must be downloaded to a computer not a tablet or phone. From a computer you may unzip and transfer the file to a tablet or phone.